The Orlando Magic begin their 30th season on October 17 against the in-state rival Miami Heat, who they also host on December 23. The upstart Philadelphia 76ers come to Amway Center on November 14 and March 25, while the new-look Los Angeles Lakers visit on November 17. The two-time defending World Champion Golden State Warriors descend upon Orlando on February 28 as part of Golden State’s quest for a three-peat. The Magic fight their way back atop the Southeast Division, which in addition to the Heat includes their longtime rival Atlanta Hawks (March 17 and April 5) and Washington Wizards (November 9 and January 25). New Magic head coach Steve Clifford faces his former team the Charlotte Hornets on October 19, and again on Valentine’s Day, February 14. On December 13 and 15, the Magic “host” two games in Mexico City at Arena Ciudad de México, against the Chicago Bulls and Utah Jazz, respectively. Founded in 1989, the Orlando Magic have won six division titles and two conference titles, playing in the NBA Finals in 1995 and 2009. 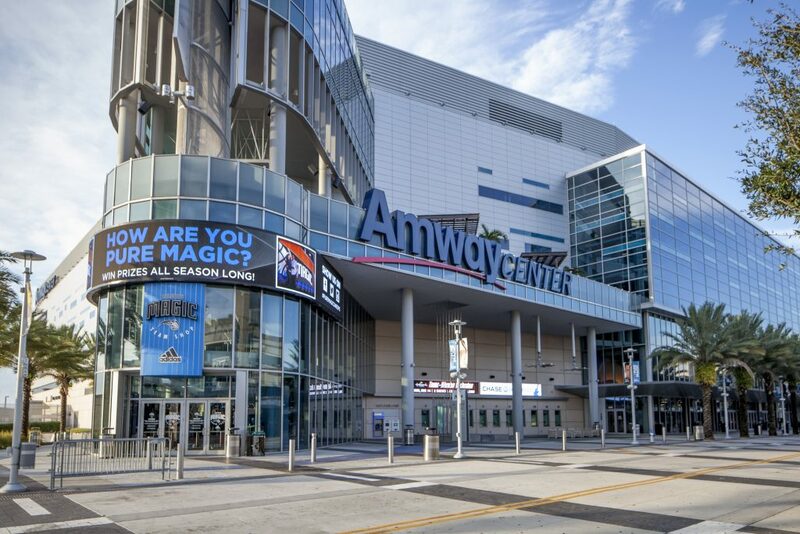 They play at the 18,846-seat Amway Center. Steve Clifford is entering his first season as head coach of the Magic, after five years of leading the Charlotte Hornets. Stay up to date on the Magic all season on Twitter @OrlandoMagic.